Do You Visit Multiple Websites To Get Your Shipments Out? WIN is easy to install (we do it for you), easy to use (we provide comprehensive onboarding), and everyone in your organization can access shipping status and rate information. Plus, all clients are supported by a dedicated WIN Business Analysit, and the Business Solution Partners Team. 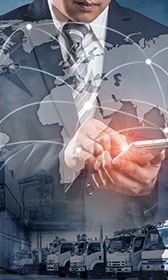 Choose from your Existing Carriers, WIN Carriers, or WIN Brokers. Open new possibilites for immediate capacity with the Spot Quote Tool. Manage virtually all Over-The-Road and Intermodal Options. 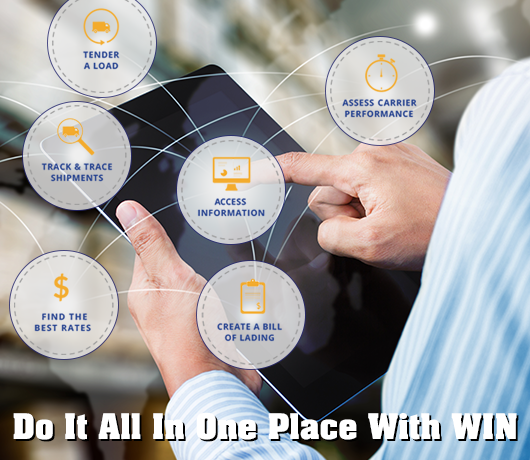 From quoting, to bill of lading, to track and trace - WIN handles it all in one place. Completely integrate WIN seamlessly into your systems with Jitterbit. The Odyssey Network at your disposal - rates & resources built into the system. 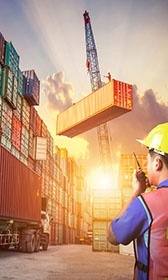 "The Expert Guide To Better Transportation Management"
Want To Learn More About WIN's Exciting TMS? Tell us a little more about yourself by filling out the form on the right and a representative from Business Solution Partners will facilitate a personalized demo at your convenience. There is no cost to intall and implement the system. There are no additional fees for using the system. Rapid implementation and comprehensive training is included.